National Coffee Day is about free coffee. We could pretend it's a celebration of something or other, but we're only paying attention because there's free coffee involved. 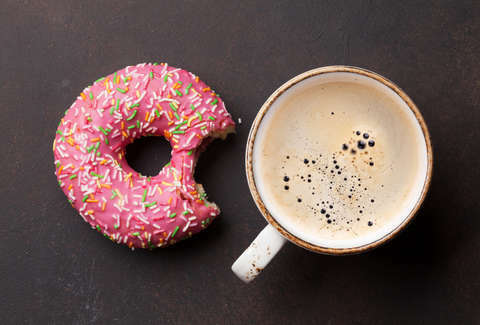 It's maybe a touch cynical, but the freebies are why you know about National Coffee Day and have little interest in National Spamburger Day, which may or may not be a real thing. Dunkin' Donuts understands this. (Or is it just Dunkin' now?) They're here with the black gold you crave on September 29, National Coffee Day. The home of Donut Fries is running a buy-one-get-one-free promotion on hot coffee for one day only. (The free coffee must be of equal or lesser value.) So, when you stop in for your morning long john, grab a coffee for a friend and omit that it was gratis. They'll owe you one. Unfortunately, the deal is only valid for hot coffee orders and not espresso or iced drinks. However, it's a coffee holiday, and there are a lot of places you can go for your morning or late afternoon cup if this doesn't satisfy your needs. Check out this list of Coffee Day deals to find one that suits your taste buds, even if your taste buds are begging for a Pumpkin Spice Latte. You can have it all on National Coffee Day.